Chucky's back, and he's scarier than ever. At least that's what the teaser trailer for the upcoming Child's Play remake promises. If you have a Netflix account, or are still mooching off of your ex's like these people, then you're probably familiar with the show Black Mirror. It's basically a modern version of The Twilight Zone, but with a modern, high-tech twist. The idea of humanity subconsciously destroying itself with ever-improving technology in the pursuit of making lives as comfortable and easy for ourselves as possible isn't exactly a new theme. Heck, it's pretty much what the Terminator series is all about. But how different directors approach this problem is what gives each film its peculiar brand of horror. In the original Child's Play, there was somewhat of a technological element present (a talking doll), but it also involved the occult: a serial killer's spirit somehow ends up in a doll and he's hell-bent on killing people now that he's a toy, because once you find your calling in life, it's hard to go back to doing anything else. 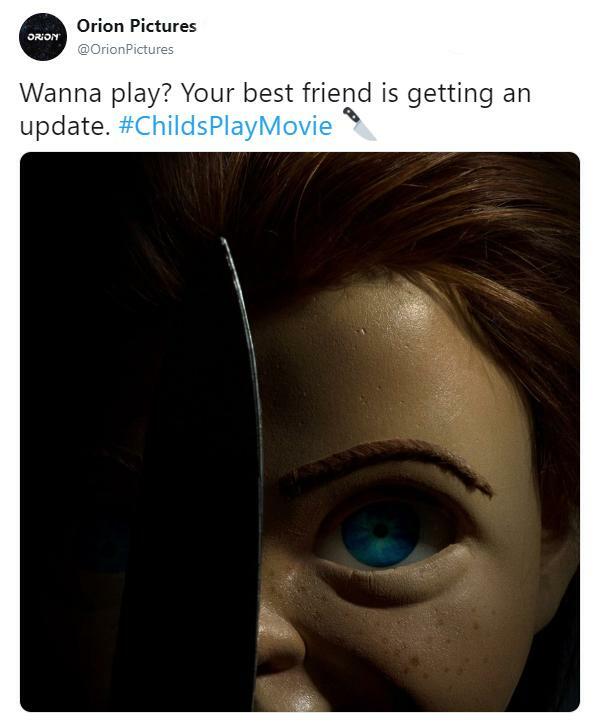 The upcoming Child's Play remake, however, seems to play a bit more on our current obsession with the horror-tech genre. 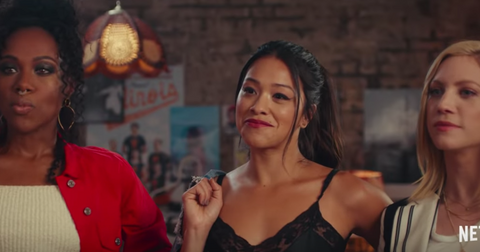 In the trailer, we are introduced to Kaslan, a future-forward company that makes a gamut of high-tech consumer products. We see a nice, clean, high-tech facility. Coffee makers and generic, futuristic, video-brochure footage. Oh, and they also make the famous "Buddi" dolls, the same toy that turned evil in the previous Child's Play films. 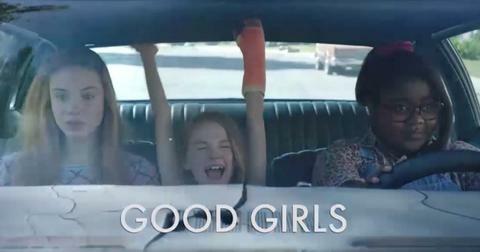 The movie also stars Aubrey Plaza, who gifts her son a toy from the mega-conglomerate. It doesn't take long for the eerie distortion effect on Harry Nilsson's iconic "Best Friend" to become increasingly creepy, and then we're introduced to the mayhem that's caused by this doll that has somehow become sentient. 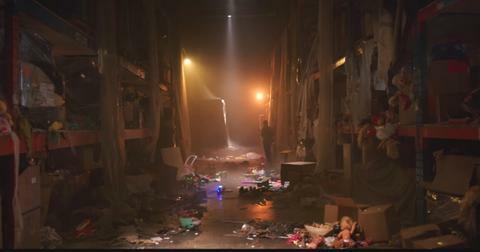 Although we don't get a glimpse of the Chucky Doll himself, we do see that he's packed with some high-tech stuff. He even scans the young boy he was gifted to, but it's not like he's a miniature Iron-Man wreaking havoc on everybody. He's still got the overalls. Still got the awful red hairdo. And he still favors a big kitchen knife, which he presumably does a whole lot of killing with. "We set out to develop the greatest and most interactive toy on the market, but in doing so we created something far more special. Every child is important to us and every child deserves a companion, a friend that will never let you down. It’s my great honor to introduce you to our most innovative product to date: Buddi. He’s more than a toy, he’s your best friend." The website for the Child's Play reboot is designed to look like it belongs to the Kaslan corporation itself. On it, we can see a number of products: they've got their very own drone that's clearly marketed towards children. Bluetooth speakers, a Nest-style thermometer, a robotic vacuum cleaner, and a "coming soon" silhouette of a doll (whose full look will probably be revealed closer to the film's release date) on the product page of their site. It's not difficult to see the similarities here between Kaslan and modern consumer tech companies. They look like a hybrid of Apple and Dyson: all of the products have clean, slick designs with consistent branding. From how heavily the promotional team is pimping the tech aspect of this new reboot, it's probably safe to assume they'll veer away from the theme of evil possession in the previous Child's Play films. Also, if Chucky is indeed a sentient evil robot in this film, it could explain the widespread destruction that takes place in the trailer. Just picture it: an unstoppable force hell-bent on killing without any human emotions, and it's connected to all of your smarthome devices. Sure, it sounds like the plot to Eagle Eye and a whole bunch of other tech-thrillers, but that doesn't make it any less horrifying. 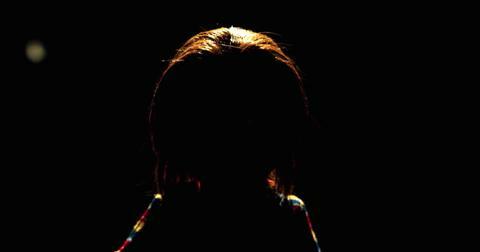 The first Child's Play debuted in 1988 and kicked off a horror franchise that terrified children for decades. Parts 2 and 3 came out in 1990 and 1991 respectively, with diminishing returns in the box office, so studios cooled it on the supernatural doll-killing-everything front for a few years. That is until 1998 when Bride of Chucky dropped and Jennifer Tilly (aka the best part of Liar Liar) lent her iconic voice to Chucky's main squeeze. 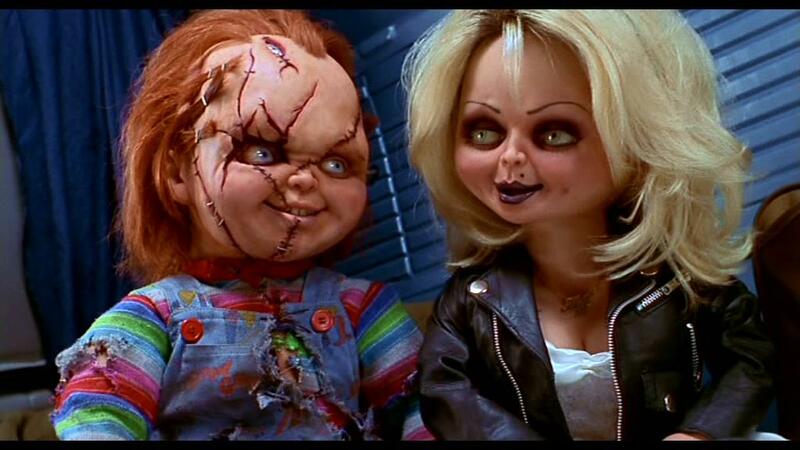 Three other Chucky films were released in the 2000s: Seed of Chucky (they had a baby!) along with Curse of Chucky and 2017's disastrous Cult of Chucky. The series definitely needed a reboot as the whole voodoo, evil-spirit thing was played out by the late '90s. Not much else is known about the doll or who voices him. Brad Dourif, the original actor who sounded kinda like Jack Nicholson, had a voice that haunted my dreams. Whenever he did that annoying scream while someone held him and threw him into a fire, I used to cup my hands over my ears. That being said, Orion Pictures did tease this image of the doll, so while we didn't get to see him in action, we can see that the freckles are intact. As much as the original movies freaked me out, I have to say I'm excited to check out this new one. How about you?